Our 3pce Heart Shaped Sand Ceremony Vase Set will give an Elegance to your Special Ceremony. Together with this gorgeous set you will also receive two colours of Coloured Sands. Your choice of Colours! 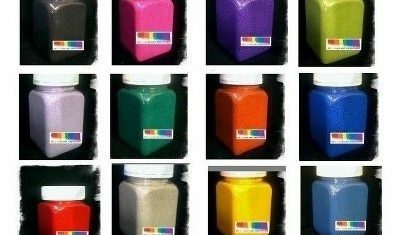 Please email through contact us form with all your details and colours of Coloured Sands required. Sand Art Workshop at Bollygum Community Market – 9th. October, 2016! 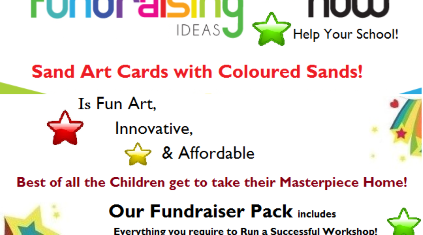 Come along and let your little munchkins create a Sand Art Card or two. 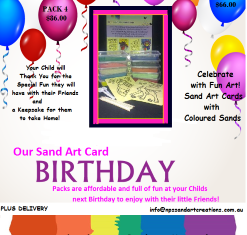 Purchase a Sand Art Cards kit for a Birthday Party or a last minute activity with Friends. Sand Art Creations are Fun, Educational and affordable. 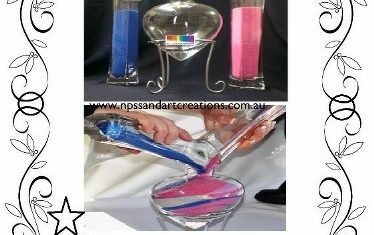 Sand Art Cards with Coloured Sands to be created at your Childs next Birthday Party part of their Arts N Crafts Activities. 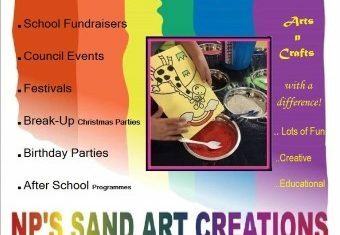 Sand Art Workshop at COUNCIL EVENTS, FESTIVALS, BIRTHDAY PARTIES! Our very affordable “Heart Shaped Sand Ceremony Vase Set” will be the talk of your Sand Ceremony. Your choice of Two Colours of Coloured Sand are included with the set.